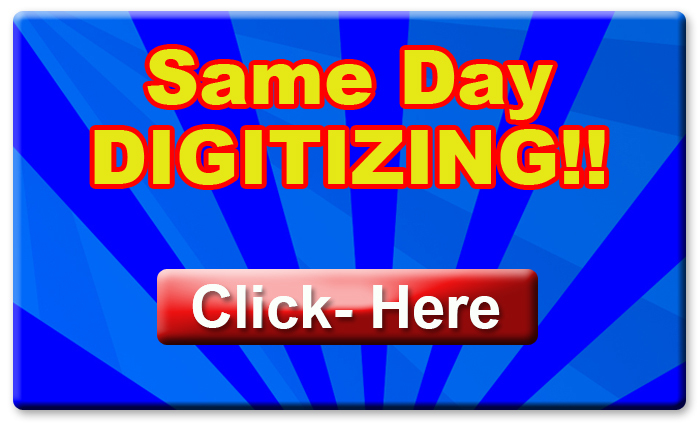 Now Offering Same Day Digitizing for Embroidery Services! If you would like to submit a same-day digitizing for embroidery quote request, please email us at info@copyartwork.com. This service is available from 8AM to 2PM PST. Do NOT upload it as an order on the website or else it will not be considered a “Same-Day” service. *Please note that we are currently not offering same-day digitizing for embroidery for jacket back design sizes. Also, this service is only available from 8AM to 2PM Pacific Standard Time.